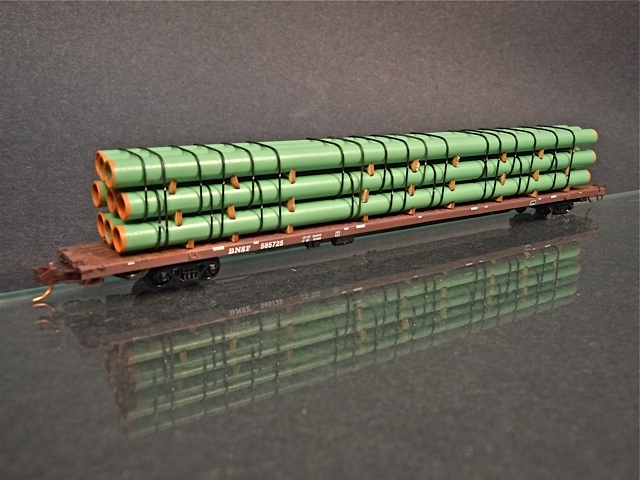 N scale 9 stack 80’ long large diameter line pipe load. 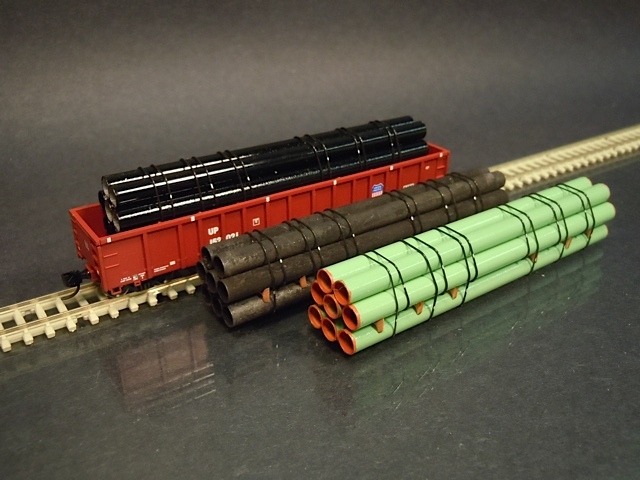 This load was created using thin wall aluminum tubing with the paint color matched to the prototype pipe. Real wood laser cut dunnage and flexible banding. Micro-Trains 89’ flat car not included.